Born at Brandon on 24 February 1923, son of Abner John Brown (1887-1967) and Lillian Robena Kidd (1897-1985), he attended Central School, Earl Haig School, and Brandon Collegiate. He received a BSc degree from Brandon College (1944) and a medical degree from the University of Manitoba (1949). He studied ear, nose and throat medicine at the University of London, England where he also played professional hockey for six years. He returned to Canada in 1956 to establish a private medical practice at Calgary, Alberta, specializing in surgical treatment of the deaf. Following retirement, he had a part-time medical practice at Banff. In 1955, he married nurse Lucille Margaret Millions (1930-2009) of Waskada and they had two sons and three daughters. 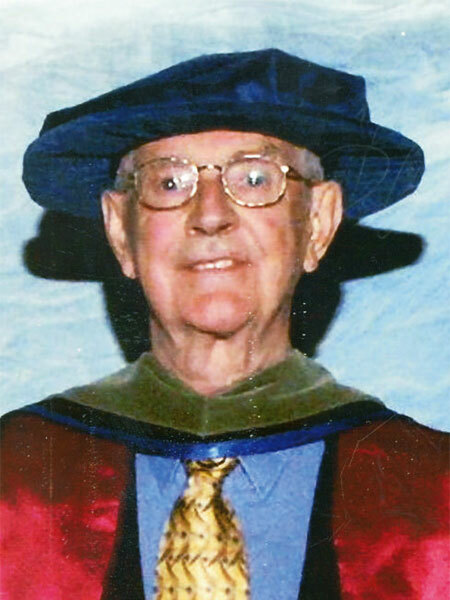 In 2004, he was given an honorary doctorate by Brandon University and one of the campus buildings is named for him and his wife. He died at his Calgary home on 1 May 2009. Obituary, McInnis & Holloway Funeral Homes. Obituary [Lucille Margaret Brown], Calgary Herald, 29 October 2009. We thank Joanne Leathem for providing additional information used here.